The contains records of the club’s activities and administration dating back to the mid-1930s, including meeting minutes, breed standard and bylaws and constitution drafts and correspondence, officer reports, and National and Regional Specialty files, catalogs, photographs, and audio-visual documentation. Of wider research interest are the personal papers and photographs of prominent figure in the sport Anne Rogers Clark, obedience pioneers Blanche Saunders and Helen Whitehouse Walker, and Count Alexis Pulaski (“Mr. Poodle”), owner of famous mid-century poodle Masterpiece. The Poodle Club in America was formed in 1931 under president Henry J. Whitehouse. The majority voted to associate with the Anglo-French, rather than German, type of Poodle. The following year, it adopted a new standard for the breed, approved and published by the AKC, coinciding with the steady flow of British imports that served as foundation stock for the early serious American attempts at breeding programs, such as the famed Blakeen and Carillon kennels. Toys were renamed a variety of the breed, rather than a separate breed, in 1943. A significant breed standard revision was published in 1959, right before the Poodle became the most registered dog breed with the AKC, a position it held for over two decades. In 1935, Nunsoe Duc de la Terrace of Blakeen became the first Poodle to go Best in Show at Westminster, kicking off a steady rise in the popularity and esteem of the breed within American dogdom. In 1938, the Interstate Poodle Club became the first member club of the AKC to specialize in Poodles. The Poodle Obedience Training Club of Greater New York was incorporated in 1951, under the supervision of Blanche Saunders, and became an affiliate club of the PCA in 1956; by the late 20th century, the PCA had 45 affiliate clubs. The first five PCA specialty shows were held in North Westchester, beginning in 1932 with five canine entries. In 1938 it hosted its first independent specialty in Far Hills, New Jersey, with 142 Poodles in competition and in subsequent locales including Rye, New York; Garden City, New York; the Bryn Mawr Polo Grounds; Ludwigs Corner, Pennsylvania; and Upper Marlboro, Maryland. Its first regional specialty was hosted in 1974 in Topeka, Kansas. The club published the six-volume series Poodles in America, charting the breed between 1929 and 1984. The books compile and publish club officers, affiliate clubs, breed standards, registration and performance stats, breeder honor rolls, specialty winners, champion pedigrees, and more. The PCA enforces stringent guidelines for membership in order to protect the breed. Every member of PCA gets a vote, which means that every member can affect changes to the breed standard. The Poodle Club of America Foundation, established in 1989, oversees many health and education initiatives. The contains records of the club’s activities and administration dating back to the mid-1930s, in addition to personal papers and photographs of prominent leader in the sport Anne Rogers Clark, obedience pioneers Blanche Saunders and Helen Whitehouse Walker, and more. Club administration features annual and board meeting minutes (1951-1998); correspondence, drafts, and printed matter relating to the constitution and by-laws and breed standard; officer files; membership directories and reports; financial documents; ingoing and outgoing correspondence; and more. 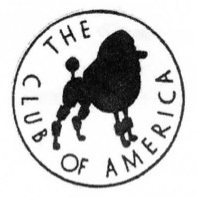 The Poodle Club of America Foundation administration dates back to its founding in 1989. Notably present are meeting minutes (1991-2012); grant proposals and reports on funded projects; secretarial files containing articles of incorporation, by-laws, and policy; financial documents; logos and letterhead; and more, in paper and digital format. Dog Shows includes files on the club’s Annual Specials/National Specialties (1935-1988), featuring a wealth of logistics and planning documentation, as well as marked catalog pages (1939-1955) and a complete run of catalogs from 1966 to 2015. Regional Specialties are also represented through files and/or catalogs from 1970 through 2013. National and Regional Specialty win shots, dating from the early 1980s, are present in digital and hard copy. VHS and digital videos chronicle National Specialties, including color and black-and-white tranfers from 16mm film footage of several specialties in the 1950s and 1960s, as well as 8mm footage of the 1974 and 1976 specialties and 1972 Westminster poodle events. Video documentation of national specialties and and a few noted regional shows, are present from 1989 on. Personal photograph collections of prominent breeders Ruth Wurmser and Edward B. Jenner, and handler Ruth Cooper, in addition to a small supply of artifacts (ribbons, pins, and other awards) and the Top Winners and Producer deduction binders for poodles created by Irene Castle Phillips Khatoonian Schnlintz using her Phillips Point System. Publications include the PCA newsletter The Poodle Papers, an extensive run of Poodle Review (1977-1979; 1987-2010); and miscellaneous clippings and publications, in addition to a rare books collection of late 19th-century American and international show catalogs assembled by the PCAF. The estate of Anne Rogers Clark includes an assortment of personal items belonging to Clark and her mother, fellow breeder and enthusiast Olga Hone Rogers, such as photograph albums, chiefly of win shots (1944-1991); awards; pamphlets and clippings; research and manuscripts by fellow poodle fanciers; registration certificates; and a large collection of pedigrees for dogs from their own kennel Surrey and Rimskittle, as well as many others. Three scrapbooks/photo albums belonging to mid-century poodle fancier, entrepreneur and eccentric Count Alexis Pulaski, known as “Mr. Poodle,” are also present in the Clark estate. The first contains a 1960 manuscript for his never-released book Pulaski on Poodles, on topics ranging from breeding to poodles in fashion to advocacy on behalf of parti-colored poodles. The second features book promotion, publicity, publisher correspondence, press clippings, and photographs, much of it regarding his prized poodle and society page fixture “Masterpiece.” The third contains photographs and correspondence of prominent poodle owners and companions — from politicians (the Churchills) to actresses (Tina Louise, Joan Bennett) to Salvador Dali and various socialites. Man portraits of Pulaski and Masterpiece, the world-famous poodle who held five titles and whom his owner claimed had the highest appraisal value of any dog in history, are interspersed throughout. Lastly from the Clark estate, is a collection of materials relating to Blanche Saunders and Helen Whitehouse Walker, most notably the travel journal from their famous 1937 cross-country dog obedience demonstration tour. Many photographs, both famous and rare, document the women at various stages in their lives and careers, obedience demos and classes, and significant poodles from Carillon Kennels, as well as articles and manuscripts, chiefly written and researched by their acquaintance Catherine C. Reilly. The collection was donated by club Historian Tom Carneal, on behalf of the Poodle Club of America, in 2009. Additions were made in 2016.